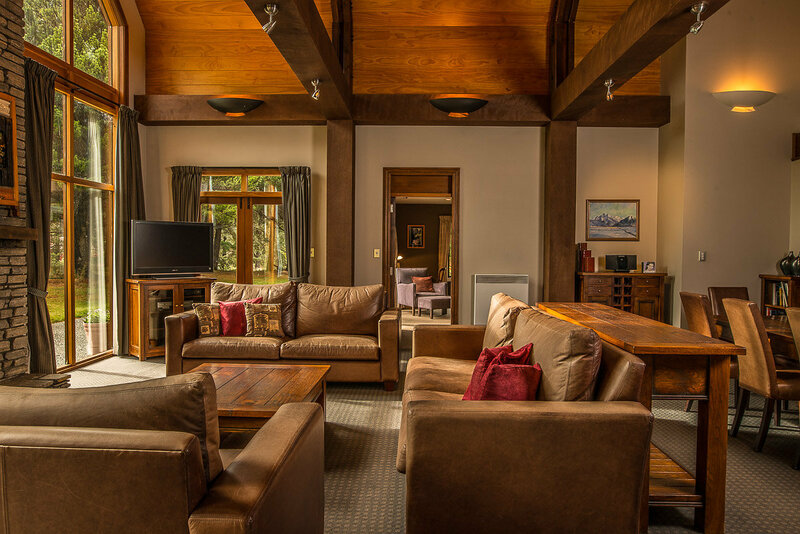 The two-bedroom Grand Suite includes the central lounge area. 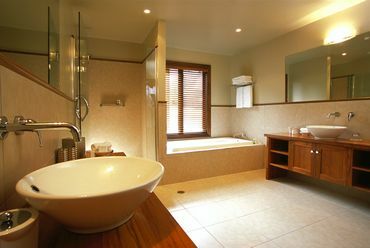 The two Villa suites are 48 square metres (500 square feet) each, with their own large ensuite with spa bath and shower, as well as all the features of Grasmere's other suites. 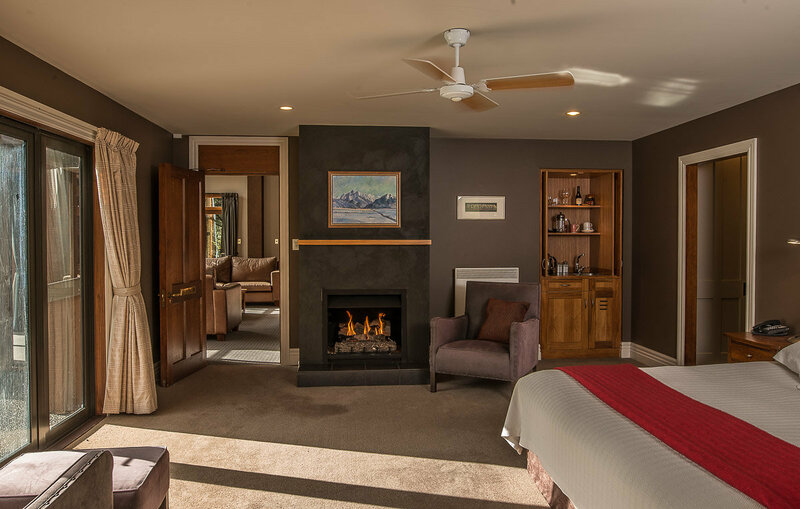 Downstairs is available as a two-bedroom Grand Suite by incorporating the Great Room or central lounge, measuring 7 metres by 8 metres, with a double height ceiling, a log fireplace and large leather sofas. Three or four couples might want the two-storey Mountain View Villa to themselves.